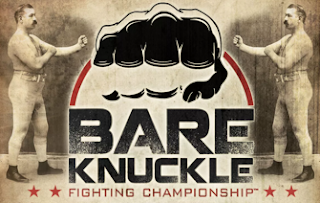 PHILADELPHIA (July 24, 2018) - Kendall Grove, the winner of Season three of "The Ultimate Fighter" and a 13-fight UFC veteran, has signed an exclusive contract with Bare Knuckle Fighting Championship (BKFC). One of the most accomplished and popular fighters to ever come from Hawaii, "Da Spyder" will make his debut at "BKFC 2: A New Era" on Saturday, August 25 from the Mississippi Coast Coliseum in Biloxi, Mississippi, and live across the United States and Canada on pay-per-view television and streaming. "I'm thrilled to now be in business with Kendall Grove," said BKFC Founder and President David Feldman. "He possesses an all-action style that is perfect for BKFC, and which fight fans in Hawaii, across the US, and around the world know and love. Plus, Kendall is a person of quality and will represent our organization that right way." A Brazilian Jiu-jitsu black belt, the 6'6", 35-year-old Maui resident has fought 42 times in his remarkable professional MMA career, with his last nine bouts taking place in Bellator. In addition to winning the third season of "The Ultimate Fighter," Grove twice claimed "Fight of the Night" honors in the UFC, and has fought for both the Bellator and KSW middleweight titles. "As we continue to gain full regulation and sanctioning for bare-knuckle with ABC Member Commissions in the United States, we are definitely interested in gaining approval with the Hawaii Commission," continued Feldman. "We'd love to have a huge BKFC show in Hawaii, with Kendall Grove front and center." In addition to the debut of Kendall Grove, "BKFC 2: A New Era" will feature the return of the "Queen of Bare Knuckle" Bec Rawlings, the Heavyweight Tournament Semi-finals, and fights featuring UFC veteran Chris Lytle, and Pride veteran Charles Bennett. "BKFC 2: A New Era" will be broadcast across the United States and Canada, exclusively on pay-per-view through MultiVision Media, Inc. on all major television and streaming distribution outlets for $29.95.